I was very into cross stitch during my single years. I have shelved all my unfinished cross stitch stuffs when I got pregnant due to certain pantang larang / taboo from grandmothers' believes. 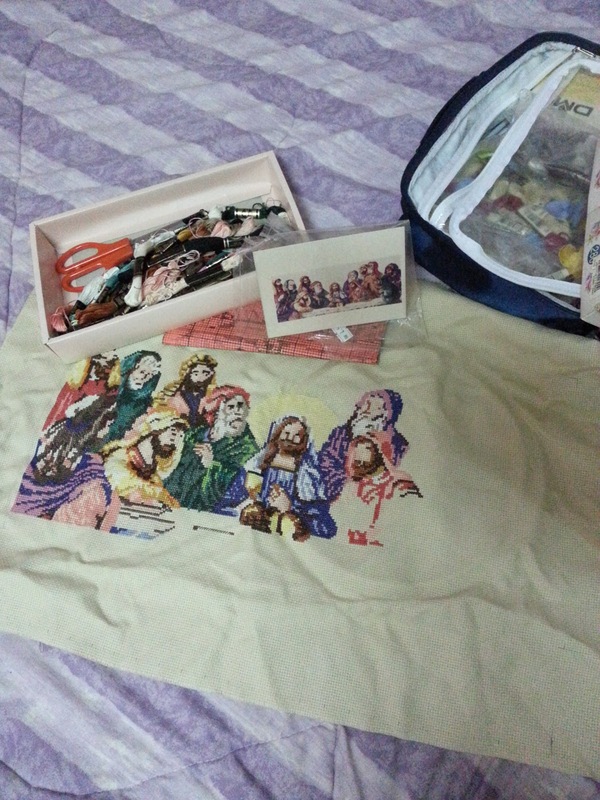 After more than 10 years now, upon numerous requests from my eldest daughter to teach her how to stitch, I took out my cross stitch stuff from the cabinet and found this unfinished piece of "Last Supper". Honestly I do not know when I can complete this master piece; my eye sight has gone poor and I can't have the spare time I wish to have like before. Yes, it's a very nice and meaningful piece of cross stitch..I will have to make a point to finish it.. I think the last supper cross stitch would look very nice once finished. Hopefully your daughter will finish it for you. Thank you so much...will email to you soon!